When Serbian Prime Minister Ana Brnabic stated in an interview with broadcaster Deutsche Welle in November that the massacre in Srebrenica was not a genocide, Bosnians weren’t surprised. The denial of the genocide began as soon as it occurred in Bosnia’s UN-protected enclave in 1995, but many have remarked that it has become increasingly mainstream in Serbian political and academic circles. That explains why an online petition has been launched in Canada by the Institute for Research of Genocide (IRGC), requesting the Canadian government to enact a law making Srebrenica genocide denial a punishable offence. If the petition is adopted, Canada would join nine other countries in Europe including Switzerland, Slovakia, Hungary, Croatia and Macedonia in prohibiting genocide denial. The systematic murder of over 8,000 Bosniaks (Bosnian Muslims) in Srebrenica by Serb forces in July 1995 was ruled as an act of genocide by the International Criminal Tribunal for former Yugoslavia (ICTY) and the International Court of Justice. “They targeted for extinction of the 40,000 Bosnian Muslims living in Srebrenica, a group which was emblematic of Bosnian Muslims in general,” he said. 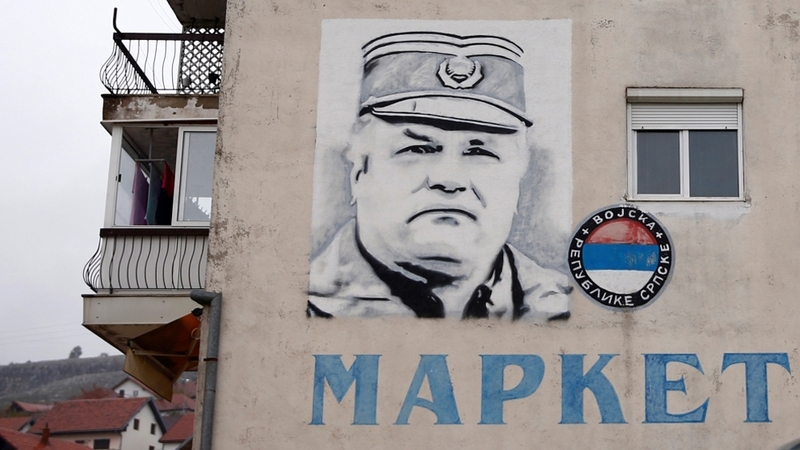 Fourteen Serb war criminals were convicted of genocide and other crimes at the ICTY including former Military Commander Radislav Krstic, former President of Republika Srpska Radovan Karadzic, and Bosnian Serb Military Leader Ratko Mladic. IRGC says Canada as well as 30 other countries have adopted legally binding resolutions. Yet, genocide denial remains widespread among the Serb population. “I do not think that the terrible crime, the massacre in Srebrenica, was a genocide,” Brnabic said in her interview with Deutsche Welle in response to comments that Serbia‘s chances of joining the European Union are slim if the country refuses to recognise the genocide. “It wasn’t done in the name of Serbian people. Serbs cannot be collectively blamed for what happened there,” Brnabic said. 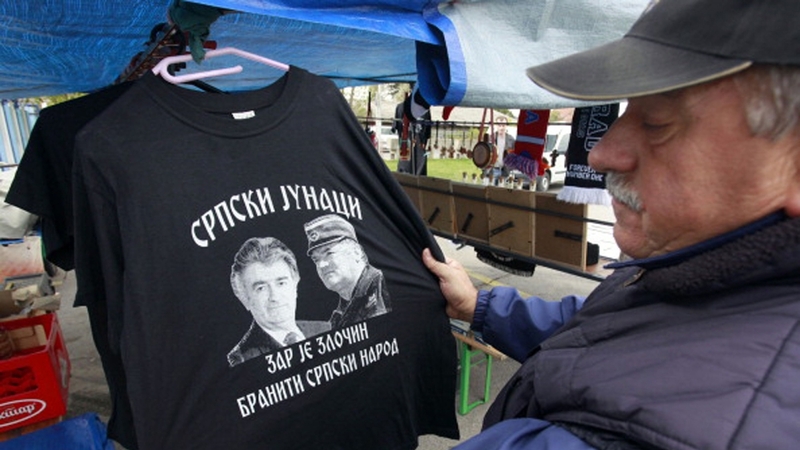 According to a poll this year, 66 percent of Serbs in Republika Srpska, Bosnia’s Serb-run entity, deny the genocide, while 74 percent of Serbs consider convicted war criminal Radovan Karadzic to be a hero. Earlier in December, the chief prosecutor at the Mechanism for International Criminal Tribunals (MICT) Serge Brammertz told the UN Security Council that glorification of war criminals and denial of war crimes in former Yugoslavia continues. He added that judicial cooperation in war crimes cases between the countries in the region is at its lowest level in years. “Positive steps are undermined by irresponsible comments from other officials denying what has been established beyond reasonable doubt by the international courts, and portraying as heroes men who committed the most serious violations of international law,” Brammertz said. Not only are convicted war criminals and war crime suspects glorified, but they continue to hold public offices in Bosnia and Serbia. Earlier this month, a veterans’ association of the Republika Srpska army sent a request to Milorad Dodik, the newly-elected Serb member of Bosnia’s presidency, to appoint Milan Jolovic as Bosnia’s minister of defence. Jolovic was the commander of the notorious “Drina Wolves” paramilitary unit that participated in the mass killing of Bosniaks in Srebrenica. 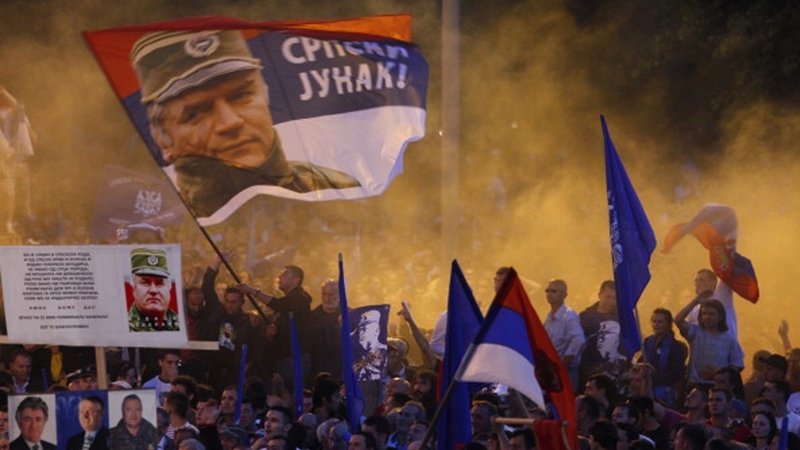 “We believe that Jolovic is a true patriot. He proved during the war that he will represent the interests of Republika Srpska in the best possible way,” the letter by the veterans read. Meron, president of MICT, has expressed “deep concern” that convicted war criminals are glorified as heroes. “The challenges are severe,” Meron wrote in a 2017 pogress report to the UN Security Council. Serbian General Vladimir Lazarevic, Bosnian Croat Dario Kordic and Bosnian Serb Momcilo Krajisnik were convicted for “horrific crimes against humanity”, yet they were given a hero’s welcome upon release from prison with government officials in attendance, the report noted. “All three, as senior officials and commanders, participated in ethnic cleansing and campaigns harming millions and devastating communities. The mentality that can regard those men as heroes is difficult to understand,” Meron wrote. Denial of facts established in the Tribunal’s judgments are widespread in the education system throughout former Yugoslavia, the report noted, where students are taught “widely different and irreconcilable versions of the recent past”. In June 2017, Dodik, then president of Republika Srpska and a vocal genocide denier, banned any teaching about the Srebrenica genocide as well as the siege of Sarajevo, denying for the first time that Bosnian Serb forces besieged and targeted civilians in the capital for years. 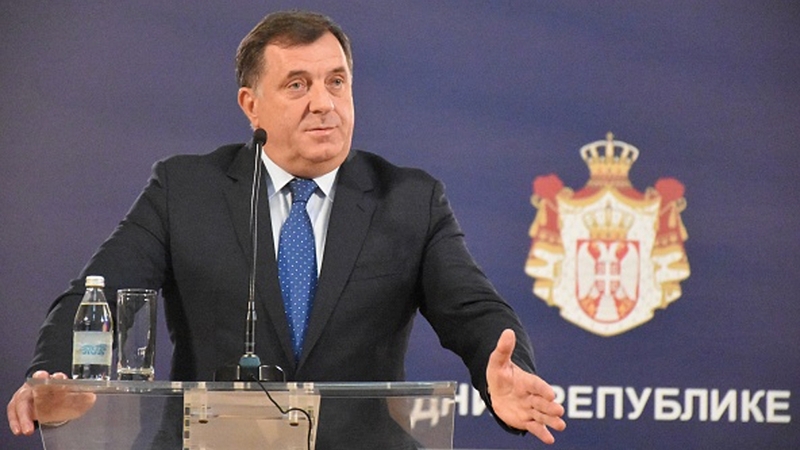 “It’s impossible to use here the textbooks … which say the Serbs have committed genocide and kept Sarajevo under siege,” Dodik was quoted as saying in local media. Author and genocide researcher Hikmet Karcic told Al Jazeera that genocide denial was limited to specific Serbian academic circles and lesser-known political parties. Now, it’s more mainstream, he said. “[It has also become mainstream] among certain leftist circles in the West which is consistent with their support for [ex-Serbian president Slobodan] Milosevic in the nineties,” Karcic said. No Serbian president has yet recognised the massacre in Srebrenica as a genocide. Even the Serb-elected mayor of Srebrenica, Mladen Grujicic, denies it. Canada has already adopted two resolutions recognising the Srebrenica genocide, launched by the IRGC. However, its Director Emir Ramic noted that the process of adopting the first resolution took five years as the Conservative Party – under the influence of the Serbian and Russian lobby – had rejected the resolution. Will Milorad Dodik break up Bosnia? Ramic’s work with the institute has made him a target of death threats and verbal abuse for years by genocide deniers. He told Al Jazeera that the threats intensified as discourse changed from denial and relativisation to glorification and triumphalism. However, he says it has made him all the more determined to make sure a law is enacted banning the denial of Srebrenica genocide. If adopted, Canada would make a major contribution in the fight against genocide denial worldwide, Ramic told Al Jazeera. “Denying the genocide in Srebrenica is very dangerous. We need to learn from history, recognise [what happened in Srebrenica] and call it by its real name,” he said. The IRGC’s petition will be collecting signatures until January 10. Parliamentarian Brian Masse, who sponsored the drive, will then petition the government to reply within 45 days. “We’ve seen this with Holocaust denial, we’ve seen this with denial for Rwanda and of course with Srebrenica,” said Masse on the necessity of a law.